Kristen Johns: Why bother making garland? 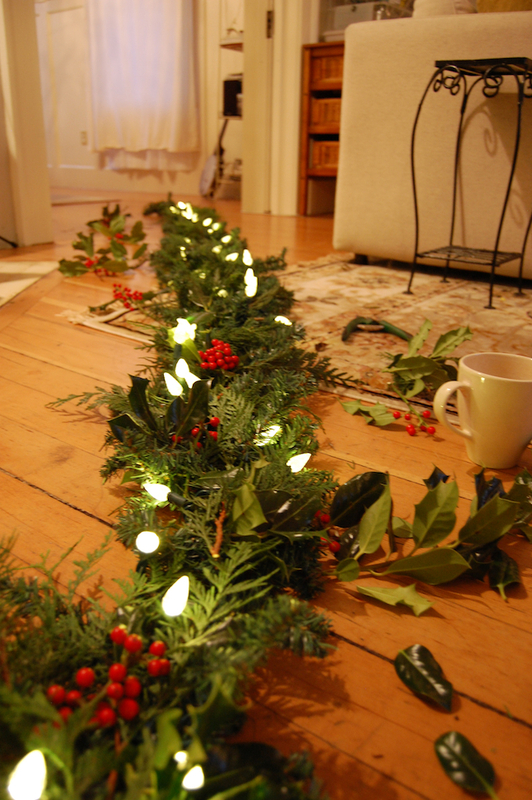 Every year I make two garlands to go down the railings of our front entrance, and every year it takes too long and it makes a mess all over the living room, but you know what? It's one of my favourite Christmas activities to do! I love making them and they're kind of like a Christmas present to myself! I gather all the holly, cedar and pine from my yard, and twist it into a pre-made artificial garland... in the end it looks full and lively and survives our winter wind storms. Why not spend an afternoon surrounded by lots of winter evergreens, a pair of garden shears and a hot cup of tea? Thanks so much, Jo! I don't mind messing up the house a bit when it comes to plants and painting!